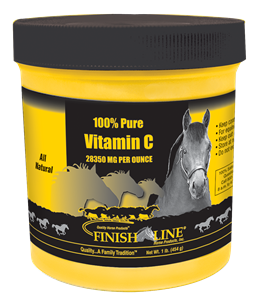 Finish Line®’s Vitamin C Pure is 100% pure Ascorbic acid. No additional ingredients. 23,375 mg per oz.